The Scattered Seed Stitch is my version of the traditional seed stitch (where sets of short parallel stitches travel across the fabric). 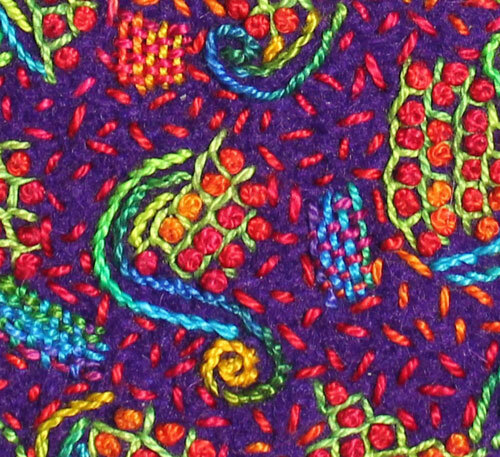 (Being an undisciplined embroiderer, I just throw individual stitches all over the place.) 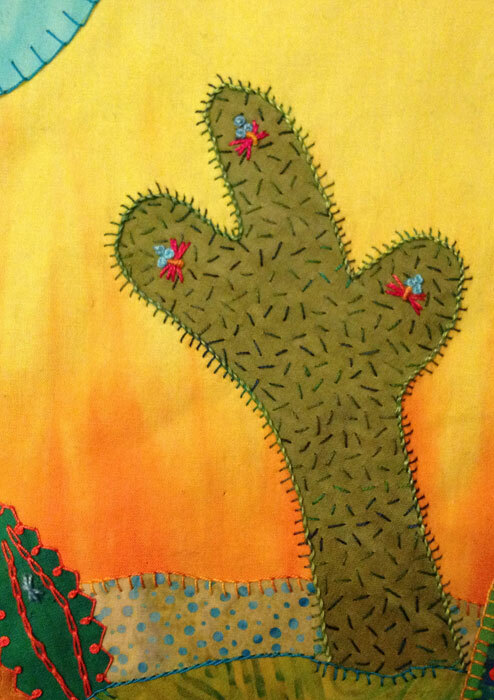 The Scattered Seed Stitch is best for filling in large areas of fabric to create texture like the spikes on a cactus. Or use it as a textural bridge to help liven up background fabric surrounding a patchwork of stitches like those found in the Tasty Bite of Apple project. 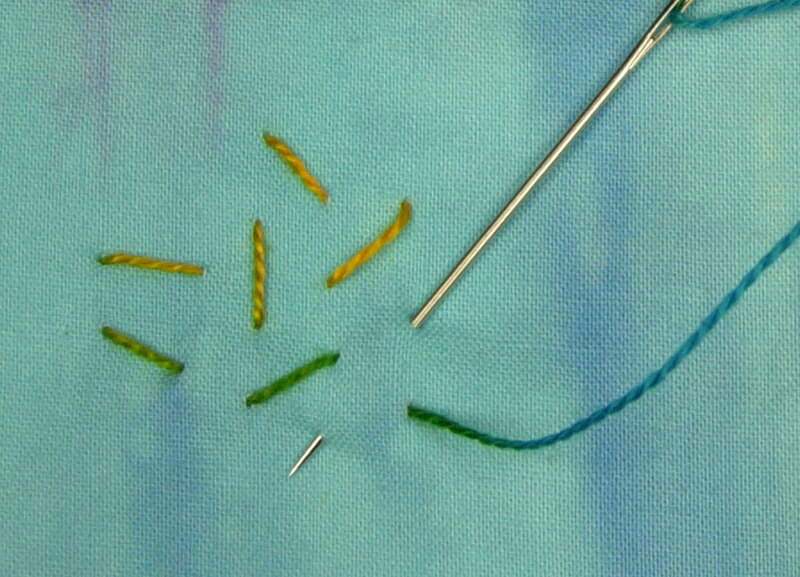 Here’s how to make the Scattered Seed Stitch: Make a straight stitch about 1/4” – 1/2” long. Make more straight stitches near the previous stitch but at different angles. (Think of the stitch angles in terms of an hour hand on a clock.) Try to keep the stitch angles random so they don’t form a pattern by repeating the same angle near each other.